All of young Hollywood showed up yesterday afternoon to be part of the Nickelodeon’s 2009 Kids’ Choice Awards at UCLA’s Pauley Pavilion. Among those in attendance were many well known celebrities with their kids. 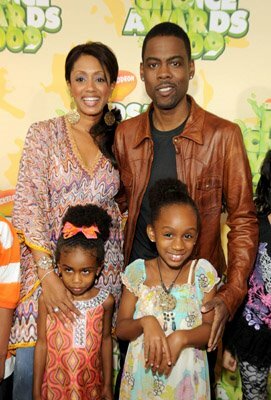 Chris Rock, wife Malaak Compton with daughters Lola Simone and Zahra Savannah.